Hotel OLD TOWN Brno **** is a newly built four-star design hotel with a wide range of services. Due to its location, it offers a quick and convenient access of Brno city centre, with important shopping centres and popular sightseeings. The hotel is atractive with modern look. Wellness Hotel Santon is located near the Brno dam and offers ideal conditions for recreational activities and exercise. 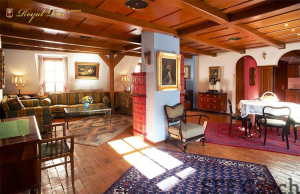 Is situated 10 kilometres from the historical centre of Brno and it is also accessible by public transport. The hotel has its own car park, free of charge. The modern City Apart Hotel Brno featuring its own garage is uietly yet centrally situated close to the train station and the convention center.The modern, air-conditioned and spacious rooms and apartments with free internet access, minibars and satellite TV. 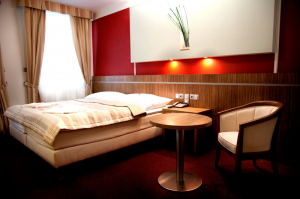 Hotel VAKA is a 4-star hotel perfectly situated near the center of Brno, Czech Republic! Conveniently next door to the Kralovo Pole Shopping Center, Hotel Vaka offers a quiet, secure night’s stay in middle of a lively city. 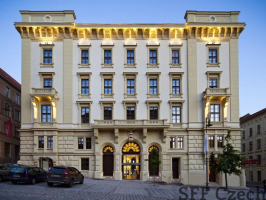 The Barceló Brno Palace**** hotel is a landmark building in the centre of Brno. It was built in the middle of the 19th century according to the designs of architect Franz Fröhlich. The original concept was to create a residential building with different sized rooms and a sophisticated system of staircases. The Hotel Royal Ricc is a romantic hotel in the heart of Brno’s historical centre, close by Petrov Cathedral and the Zelný Trh vegetable market. The Baroque era building constructed in 1596 features 30 charming rooms with lacunar ceilings, stained-glass windows and glazed tile fireplaces. Hotel AVANTI Brno with a total capacity of 350 persons are ideal for organizing congresses, conference, training, banquets, presentations, seminars, balls, parties, banquets, weddings, graduations, corporate and family events are equipped with modern audiovisual. 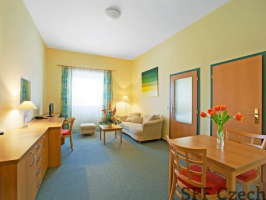 Hotel Voronez II is situated very close to the Brno Fairgrounds in the centre of the city. The hotel offers incomparable quality in its accommodation category at competitive prices in newly remodelled rooms. The hotel has 109 double rooms and 1 suite. Hotel Voronez I is situated very close to the Brno Fairgrounds in the centre of the city. The hotel has 368 rooms, suites and business suites with a bathroom, toilet, electronic key, spy hole in the door, telephone with a direct dialling option and Wi-Fi.